A long-standing item on the Capital Improvements Advisory Committee’s bi-monthly agenda will be removed for the time being. Three issues relating to needed work on different stretches of Highway 160 that are clumped as three sections of an agenda item, were agreed to be taken off the monthly agenda at the committee’s meeting July 23. The action is result of the Nevada Department of Transportation saying they don’t plan on carrying out that work until at least 2017. The work in question is at the intersections of Highway 160 and Mesquite Avenue, Bell Vista Road and Wilson Road/Oxbow Avenue. The issue has been part of their agenda as a reminder item since the Jan. 15 meeting. Public Works Director, Dave Fanning, gave his opinions on the matter and expressed his hope the initiative be taken off the agenda. “I want to say that they’re 2017, if not further out,” Fanning said. “If not 2017, five years beyond that, is what I want to say is their review is at the NDOT level. Fanning mentioned that it’s been done with Highway 160 and Wilson Road and that it has worked in the past. He went on to recommend that the item be brought back up in 2017 when the work is near. If other projects are brought up that might affect these areas, Fanning mentioned that the committee bring it up sooner, as it could speed up NDOT on those areas if other projects will affect them. 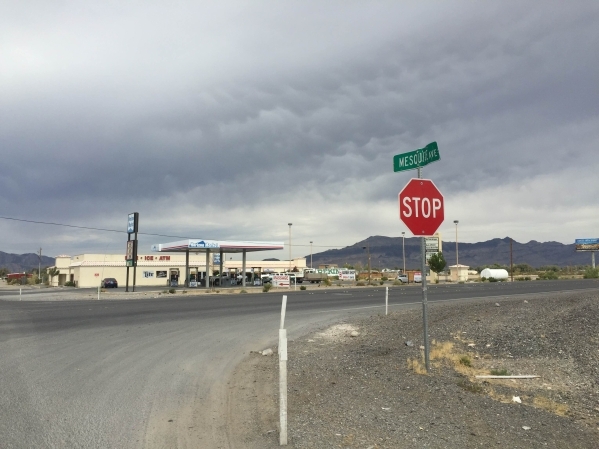 Another project that involves Highway 160 was also discussed, as Pahrump Valley Fire Chief Scott Lewis explained planned work on the Las Vegas-connecting highway will aid law enforcement and medical personnel responding to incidents. The changes will open up more areas where law enforcement and emergency vehicles can cross over to each side of the highway, which Lewis said will increase response time to accidents and speeders. “If there was a northbound accident and we were traveling southbound we would have to go an extended travel distance in order to get to where we could turn around,” Lewis said. “NHP could quite frankly see people speeding and don’t have access to come around and pull them over.